A secret chamber containing artifacts worth at least a million dollars belonging to a controversial Russian royal family member was discovered by archaeologists in the basement of a house in the Uzbek city of Tashkent. According to reports, researchers from the University of Uzbekistan found the artifacts belonging to the Grand Duke Nicholas Konstantinovich of Russia, a member of the Romanov family who had lived in the city. The treasure was found in a secret chamber in a home, which had been used by wealthy aristocrats fleeing during the Bolshevik-led October Revolution, reports said. 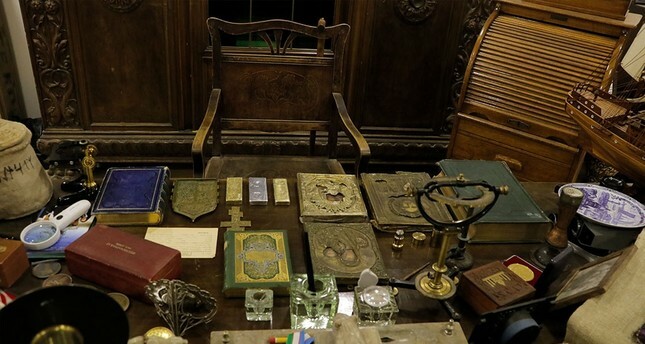 Some of the items found inside the secret chamber of the house built in 1870 included coins, bar gold, books, paintings and numerous valuable miscellaneous items. Konstantinovich was a princeling who was banished from the Russian empire after stealing three diamonds from his family's home and was declared insane following an affair with a notorious American woman named Fanny Lear. He lived in exile in Tashkent until his death and contributed to the city's infrastructure by building two large canals. His personal collection of artworks later became the center of the state Museum of Arts of Uzbekistan.